The Bitcoin-exclusive poker site – SwC Poker – has rolled out its new platform in “play-at-your-own-risk” beta mode. So, is it worth taking the risk? If you are familiar with the old Seals with Clubs (SWC) poker software, you will likely be delighted with the new platform. Available in Instant Play mode and as downloadable software, the new platform is both Mac-friendly and mobile-friendly, and exceptionally customizable. Admittedly it´s still a bit buggy, but SWC is offering a bug bounty to players who report issues so they get resolved quicker. The reason for SWC releasing the platform in “play-at-your-own-risk” beta mode, is that some of the bugs may result in security issues. SWC management has already announced it will make good any player who suffers a verifiable financial loss due to a software bug, but is it worth taking the risk when there are plenty of other established poker sites that also accept Bitcoin which are more secure? 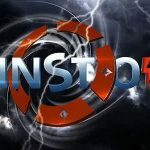 Back in the days when the site was operating under the name Seals with Clubs it had a unique concept, because of only accepting Bitcoin transactions. While it’s still difficult to find a European poker room that accepts Bitcoin, nowadays all US poker sites are more than happy to accept multiple cryptocurrencies. There is nothing wrong with using Bitcoin as a deposit method, the transactions are fast and once you dive into it it’s not too complicated to get started. But you don’t want to keep your whole bankroll in an online poker site in a cryptocurrency while Bitcoin is going down. … this is exactly how SWC Poker works. With other sites you deposit Bitcoin and your amount will automatically get converted into US Dollars. The moment you withdraw your money from your poker account to your Bitcoin wallet the opposite will happen, your US dollars will get converted back into Bitcoin again. So, your bankroll will be in USD, and not in a cryptocurrency. What Can SWC Offer Compared to Other Poker Sites? Not a lot really. For poker-playing libertarians, SWC still allows you to play and withdraw your funds anonymously, but it lacks the bonuses, promotions, and features that make other US poker sites more attractive. Indeed, SWC has never offered a first deposit bonus or reload bonus, whereas its competition in the US market offers both type of bonuses plus periodic no deposit bonuses. Sure, SWC has just launched a Bad Beat Jackpot promotion and seeded the prize pool with 100,000 uBTC (about $600 yesterday, about $550 today); which is better than Ignition Poker´s 100x Big Blind Bad Beat Jackpot, but which pales into insignificance when compared against BetOnline Poker´s equivalent promotion. Most other sites also have rake races or leaderboard competitions (I.e. WPN´s Beast) to add value to the playing experience. 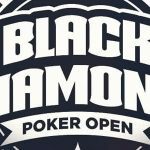 In respect of the games on offer, SWC is unique among US poker sites in hosting cash games of Pineapple Hold´em, mixed format Sit & Go games, and lowball multi-table tournaments; but, as yet, these games are yet to attract any players. There are no fast-fold cash games nor hyper-turbo Jackpot games, and the most valuable tournament of the week has a guaranteed prize pool of ~$600. Naturally some of the limitations are attributable to the volume of traffic visiting the site. SWC is not going to host a million dollar guaranteed tournament with only twenty players, but – other than at peak times – the site is unlikely to attract many more players than that. This makes it hard to find a cash game table or get a Sit & go game running; and – with tournaments typically spaced two hours apart – players could log into their accounts, find nothing happening, and log off again to go play someplace else. Finally, SWC is unique among its competition in that it does not offer a sportsbook or online casino. 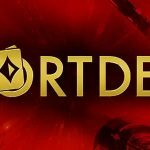 For some players this will be a positive; but for those who want to have a bet on the weekend football or a few hands of Blackjack while they are waiting for a tournament to start, it will be necessary to create an account with another online site – which kind of defeats the objective of creating an account with SWC. Has Seals with Clubs Served its Useful Purpose? 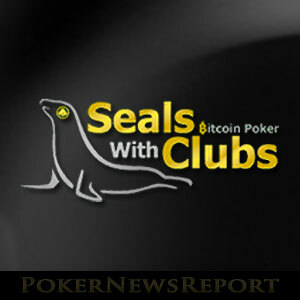 When Seals with Clubs v1 first opened in August 2011, it was just four months after PokerStars, Full Tilt Poker, and Absolute Poker had been shut down on Black Friday. U.S. based players had very few options available to them; and, because the FBI couldn´t get their hands on the new cryptocurrency called Bitcoin, it was an option worth trying out. At the time, the price of one Bitcoin was less than $10.00, and so there were enough players interested in playing at the site to make it worthwhile – especially considering the ease with which you can move funds on and off the site. Furthermore, Seals with Clubs took a lower than industry-standard rake from the tables and used the dealt-rake method to reward players in its rakeback program. However, that was more than seven years ago, and now all US poker sites accept Bitcoin – indeed, some provide enhanced bonuses to players who deposit with Bitcoin. So, although the new SWC platform is a big improvement on the previously available software – and the launch of the platform is likely to attract players of an inquisitive nature – there are plenty of good reasons to choose another poker site to play at due to the lack of opportunities at SWC poker. The author of this article mentions that other sites are better options because of the volatility of bitcoin, bonuses like deposit and rake races, and the traffic at SWC being low. Sure it is better to have you money on a site that converts your bitcoin to USD when its going down in value but, what about when its going up. It has been a while since Bitcoin has been shooting up in value but, if you are invested in bitcoin, the current value doesn’t matter as far as it being on a poker site or in some other bitcoin wallet. The article says that other sites do a better job offering things like deposit bonuses and things like rake races but it fails to mention that the rake at SWC is significantly lower than any other site. It also fails to mention anything about the daily rakeback of up to 50% on SWC. In order for someone to completely clear and unlock a deposit bonus on sites they have to play a lot of hands. 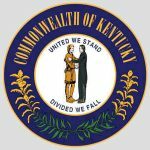 Sure there is an illusion that these sites are offering you some great bonus up to $1000 or whatever but really what they are doing is giving you a portion of the rake they take back to you for a short time. Rake races are the same thing. In order to win a rakerace you have to play so much and generate a ton of rake. Then they will give a small portion of that back as your prize. I would suspect that most players don’t unlock all of their bonuses without depositing more money or ever win anything in rakeraces. I don’t know the numbers but I’m sure that the rake you actually pay after you get your bonus back or rake race payment is about the same in which SWC charges as a standard. The only difference is that once you clear your bonus the rake is jacked way up on other sites. SWC has rakeback that is paid back to your account daily on top of their already lowest rake anywhere. It is a tiered system in which you get a higher percentage back the more you play. Sure, in order the get the highest percentage back 50% you would have to play a ton of poker for a long time. It however does not take much to get your account into a tier that is comparable to other sites that offer something like 27% back. The only area in which SWC doesn’t compare is the traffic. They are currently working on trying to get the site out there more and attract more players by offering bonuses to players who win their tournaments while streaming on twitch.